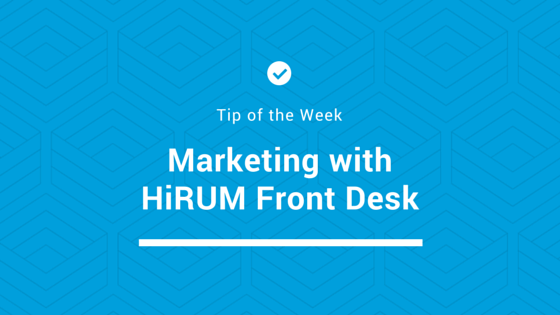 Q: Can HiRUM Front Desk also help to promote my property? A: Yes! Our reservation software can target niche markets and draw database information for marketing purposes. We offer detailed filters so you can analyse your current bookings, such as region and source. Our marketing tools provide for 8 different tiers of analysis. Use this intelligence to identify your target market and optimise your future performance.